Sonexis' next software update, version 12.1 is on its way! 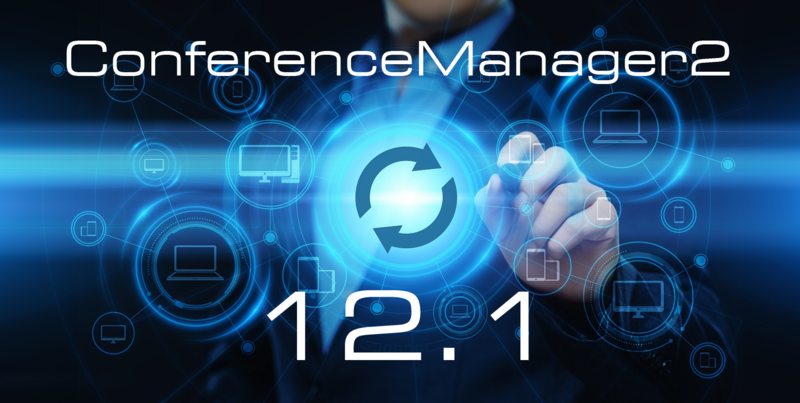 After our last major software release of the ConferenceManager2, version 12.0, this new minor update will offer customers a software refresh as well as added features and functionality. All customers currently running ConferenceManager2 v12.0 will be eligible for this release of new software, expected summer 2019! If you are still running an older version of ConferenceManager2, it's never too late to upgrade. Check out the updates below to see what's new! Listen/Talk - This mode allows the caller to both talk and listen throughout the conference. Listen only, unlocked - In this mode, the caller is automatically muted when they enter the conference but has the ability to un-mute themselves by using the *2 DTMF command. Listen only, locked - This mode automatically enters the caller as a muted participant, only allowing the host or operator the ability to un-mute them. This new feature is great for hosts and operators hoping to simplify call management. With ANI Look-up Ability to control the names of callers as they appear in conferences on the ConferenceManager2 based on caller ID. This change offers yet another layer of security for account owners and their individual conference ID #. Guest Only Passcode Entry allows participants to be joined into the conference with an ID # separate from the account owner or host’s individual Conference ID. This way, each account owner’s Conference ID can remain known only to them. Check out the complete 12.1 Updates and What's Next document below!